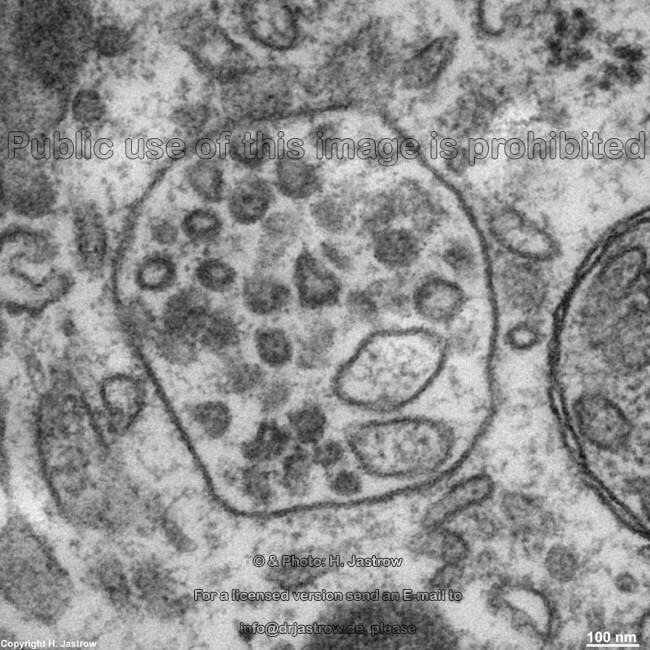 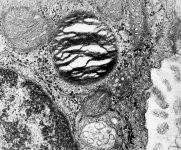 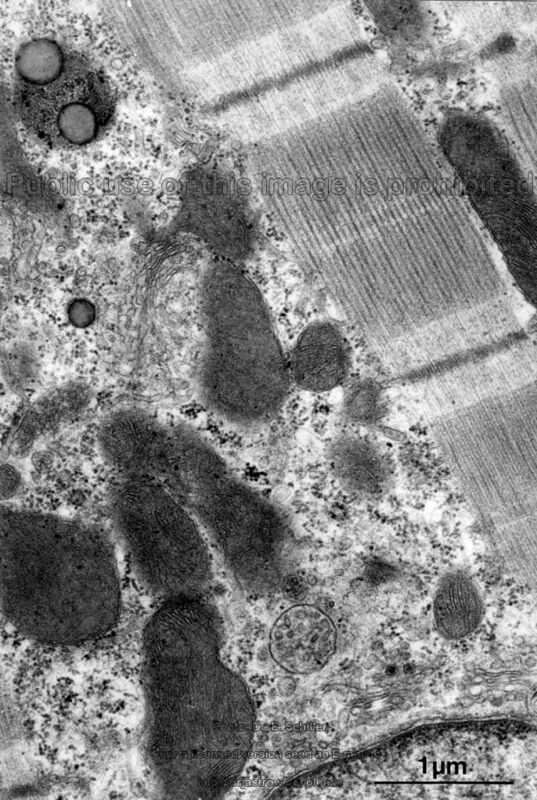 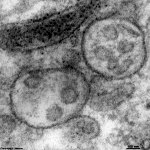 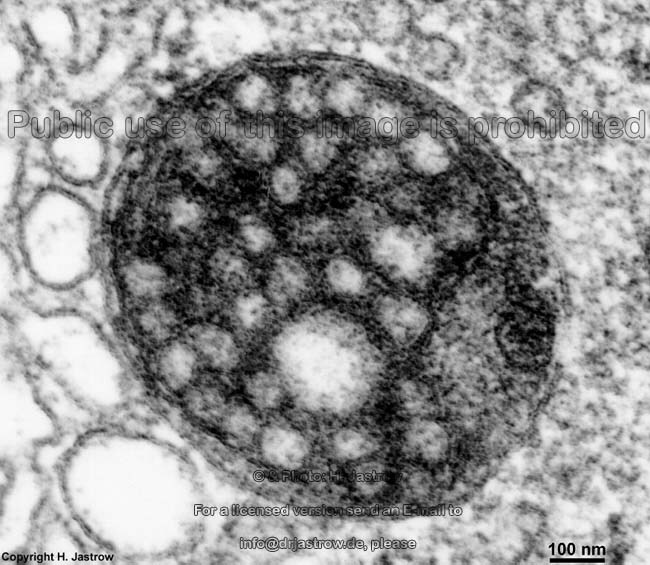 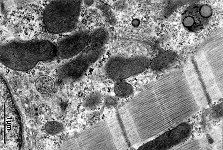 Multivesicular bodies (MVB; Terminologia histologica: Corpuscula multivesiculares) are round to oval cell organelles containing more or less smaller vesicles. 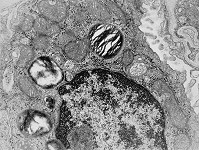 MVB belong to the secondary lysosomes and contain acid phosphatases. 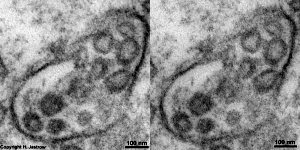 When sectioned MVB have mean diameters of 200 - 500 nm and usually an electron-lucent matrix. 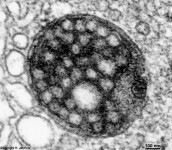 MVB are limited by a double-membrane, as are their vesicles that have diameters of 40 to 150 nm. 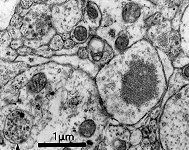 MVB are rare cell organelles; some may be encountered in the apical part of inner hair cells and endothelial cells. 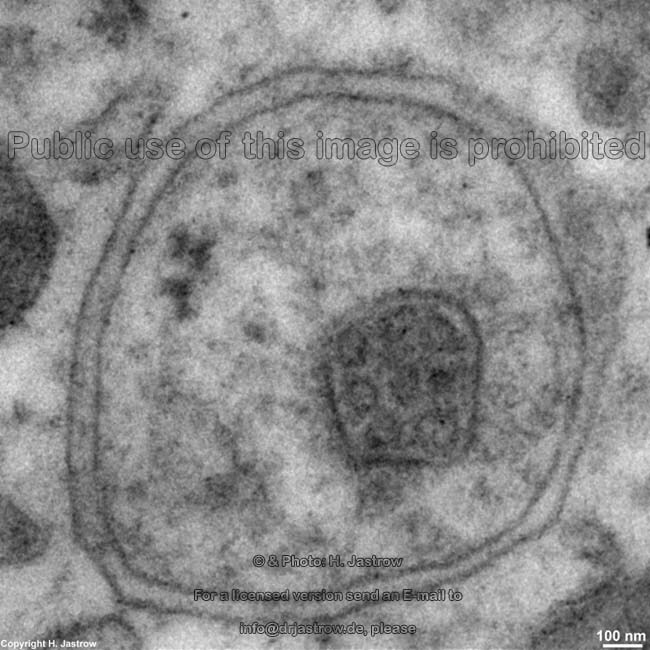 Few may be seen in heart muscle cells or glial cells. 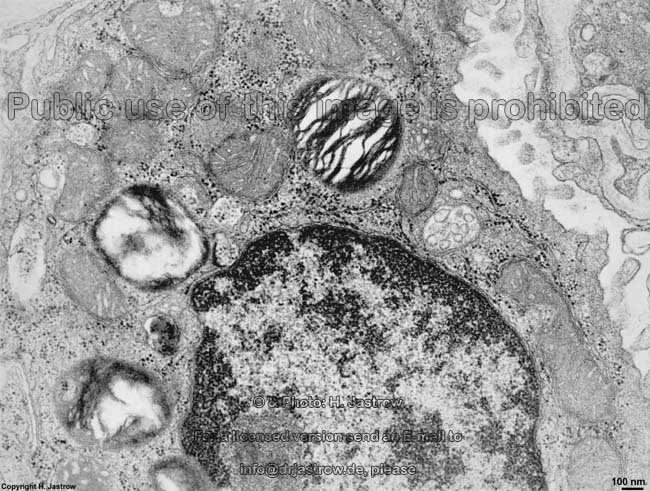 In alveolar epithelial cells (= pnemocytes) of type 2 many MVB appear as precursors of multilammellar bodies. MVB derive from microautophagy from primary or secondary lysosomes. 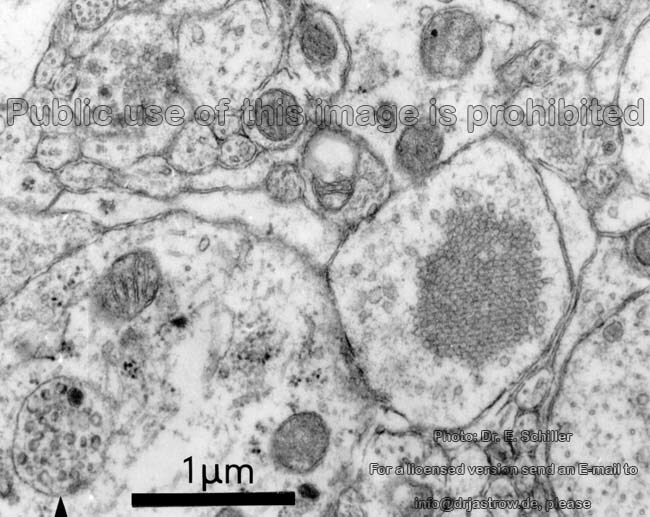 Thereby the sialin acid rich membrane glycoprotein LAMP-2 binds to complexes of cytoplasmatic Ubiquitin with abnormal or denatured proteins causing the lysosomal membrane to infold and form vesicles into the interior. 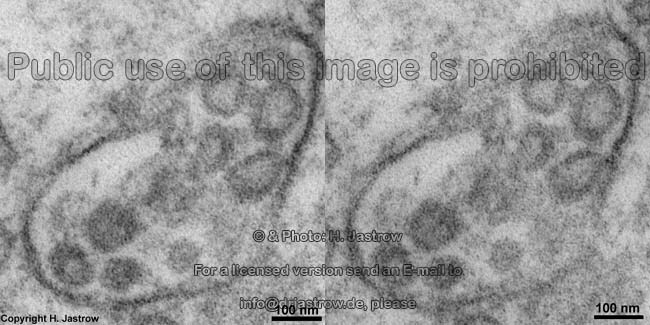 Two of the pictures were kindly provided by Dr. E. Schiller; other images, page & copyright H. Jastrow.